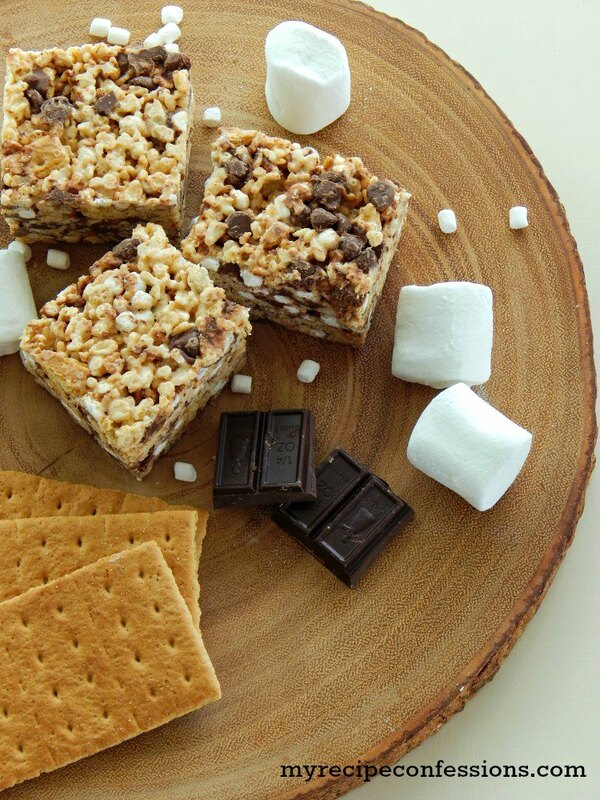 Summer and s’mores seem to go hand in hand. As much as I hate the big mess my kids make with s’mores, it seems like I would be depriving them of a critical childhood experience if I didn’t let them make the gooey mess. Every time we are up in the mountains camping, my 11 year old begs to make s’mores. The crazy thing is he doesn’t really like to eat them, he just likes starting the marshmallows on fire. 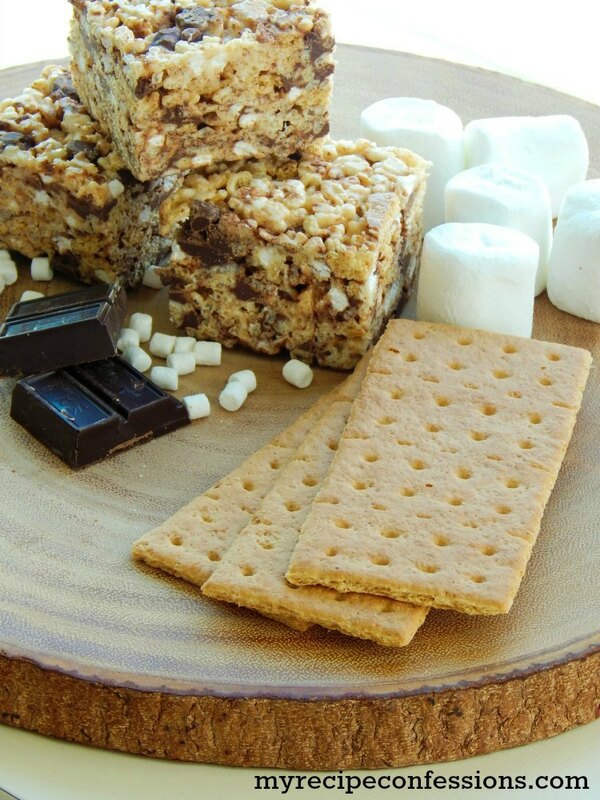 I am sure you can imagine or relate to how s’mores can be. This is why I love this recipe for S’more Rice Krispie Treats. 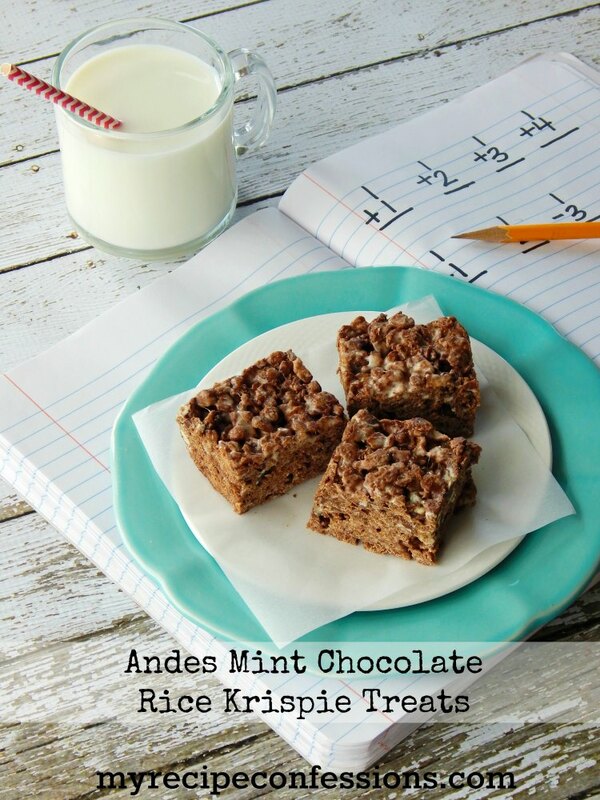 The kids can help you make them and it is not anywhere near as messy as regular s’mores are. One of the great things about this recipe is that in order to make the Rice Krispies gooey and soft, you have to melt the butter and marshmallows in the microwave. It only takes about 2 to 2 1/2 minutes in the microwave. If you melt them on your stove top, they will dry out. I know it’s sounds crazy, but just trust me on this one. 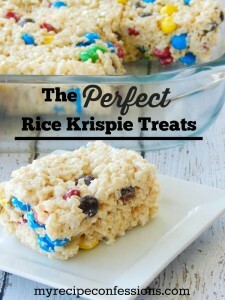 Another tip I have for you is that in order to get the true ooey gooey goodness, it is best to let the rice krispies set up for an hour or so. If you are like me and can’t wait that long, you can place them in the fridge for 30 minutes. 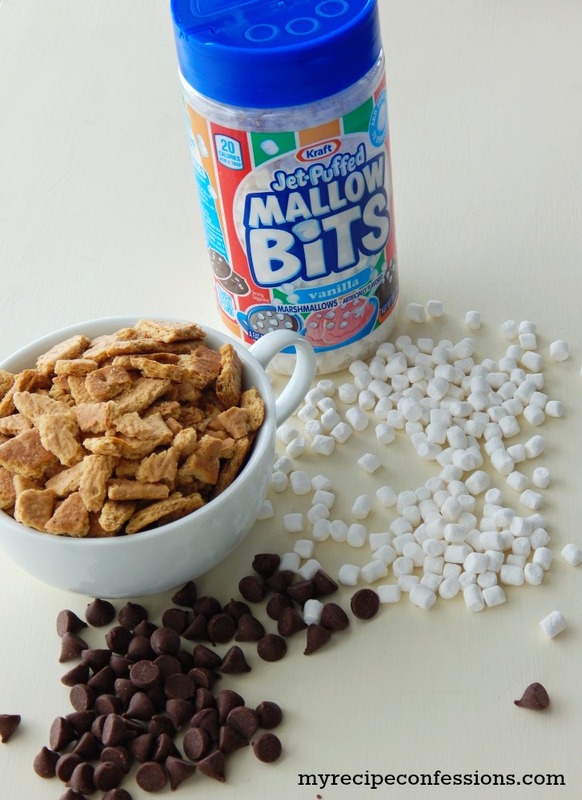 I have found the ingredient Kraft Jet Puffed Mallow Bites at Walmart and Target by the hot chocolate section. 1. Spray a 9 x 13 pan and a spatula with baking spray. Place the graham crackers in a ziplock bag and break them up into 1/4 to 1/2 inch pieces. Be careful so you don’t crush them. 2. In a large bowl, melt the butter and marshmallows in the microwave for 2 to 2 1/2 minutes. Stir with the prepared spatula to make sure that it is all completely melted. 3. 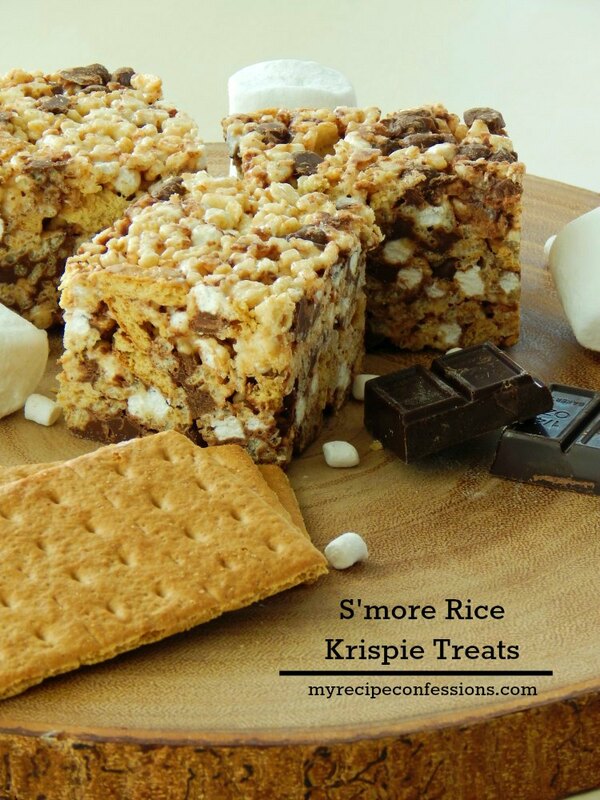 Add the rice krispies, mallow bites, and graham cracker pieces to the melted marshmallows. Gently stir to completely mix. 4. Gently fold in the chocolate chips. 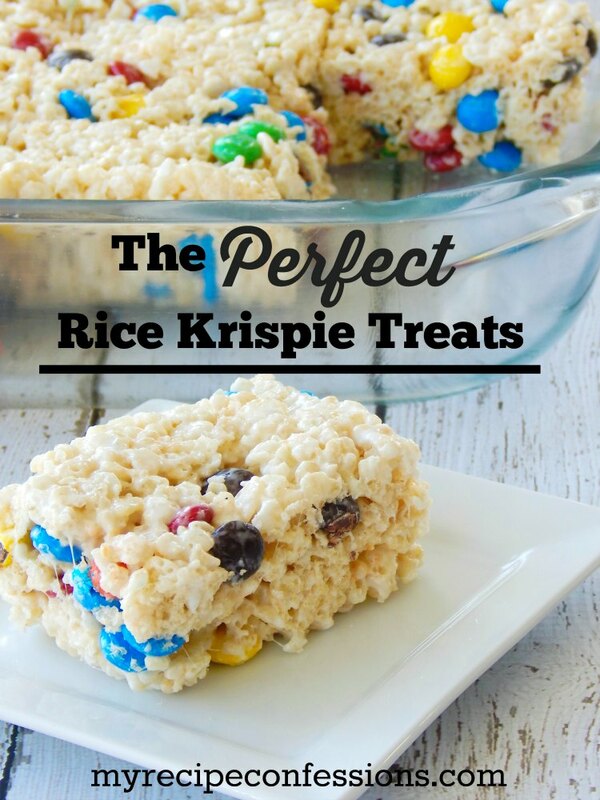 Evenly spread the rice krispies into the greased 9×13 pan. 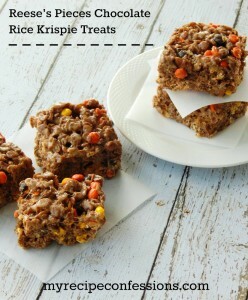 With the spatula, gently press the rice krispies down so that the top is even. Allow to cool for 30 minutes in the fridge or 1 hour on the counter before cutting.